On June 9th 2015, the European Court of Human Rights declared an application submitted by the European Roma Rights Center (ERRC) on behalf of a victim of forced sterilization inadmissible. The injustices visited upon the applicant from the moment of being sterilized in Hungary are disturbing – the legal reasoning behind the decision is deeply troubling for anyone interested in reproductive rights, anti-Roma discrimination, women’s rights, or the emerging legal field of intersectionality. The facts (which can be found in an anonymised version of the application on the ERRC website) are as follows: On February 9th 2008, the applicant G.H. was admitted to the hospital, twenty-two weeks pregnant with twins and bleeding heavily. An urgent Caesarean section was ordered. The applicant signed a form consenting to this procedure. It was discovered that the foetuses were dead, and they were removed. During the operation, the applicant’s fallopian tubes were tied, and during her stay in the hospital, she was placed in a ward of the hospital occupied only by Roma patients (although not Roma herself, her husband was). On the day of the applicant’s release, the hospital issued a medical discharge document which included a reference to the fact that the applicant had been sterilized. The document did not refer to her giving consent. It was only upon seeing this document after her release that the applicant first understood that she had been sterilized. The courts in Hungary found that the hospital should have asked G.H. to sign a consent form, and that because they did not do so, she was to be compensated for those administrative oversights. But not too much: the two million Hungarian forints (about €6,000) she had been awarded were deemed excessive. On appeal, the Supreme Court slashed the amount in half, since according to the doctors, the applicant had consented to the sterilization, but the hospital had just forgotten to follow the formalities. G.H.’s contrasting and more credible version of the story bears a striking resemblance to A.S. v. Hungary, another case where a Romani woman was sterilized in a Hungarian hospital in 2001. Just as in the A.S. case, despite the doctor’s claims, it does not matter whether G.H. ‘consented’ in the middle of a traumatic medical emergency. Sterilization without fully informed consent is a serious human rights violation and an arbitrary interference with a woman’s bodily integrity, reproductive health, and right to family and private life. International bodies have already established this, including the Strasbourg Court itself. However, the intersectional discrimination has never been acknowledged: these women are targeted because they are female and Roma. The European Court disposes of most inadmissible applications it receives by having them decided by a single judge and sending a short rejection letter without reasons. G.H. was given the less usual benefit of a reasoned inadmissibility decision from a seven-judge Chamber explaining why she lacked victim status. The Strasbourg Court found that the applicant “was in the position to take an informed decision,” had received compensation and an apology. In short, there was nothing left to complain about. To the extent that the applicant claims that the medical intervention, which was carried out with her consent but without a written procedure required by the domestic law, amounts to an infringement of her right to respect for private life under Article 8, the Court finds that the applicant can no longer claim to be a victim of a violation for the following reasons. The Court notes that material compensation, in an amount of EUR 3,300, was awarded to the applicant for the grievance in question, that the courts recognised a breach of her rights, and that the hospital apologised for the procedural irregularity committed. In these circumstances, the Court considers that an express acknowledgement of the violation of the applicant’s rights occurred and she received adequate redress. The core of the problem, though, is with the result the domestic courts and the Strasbourg Court drew from that version of the facts: if a woman gives some form of consent to sterilisation in the middle of a pregnancy-related medical emergency, her approval under duress somehow mitigates the human rights violation. The European Court normally awards tens of thousands of euros in cases of forced sterilization. The €3,000 G.H. received from the Hungarian courts was not just stingy – it was based on the conclusion that the applicant’s “consent” mitigated the damage. The Strasbourg inadmissibility decision finding that she was not a victim confirmed this approach. It is a procedural blow to reproductive rights, women’s rights, and Roma rights. A woman in the middle of a pregnancy-related medical emergency is vulnerable to serious abuse and irreparable harm. It is no accident that so many Romani women are affected by forced sterilization: one of the most common racist stereotypes about Roma is that they have large families, and one of the most common racist beliefs is that they should not. The challenge for the future is to frame such cases in ways that force judges to address the discriminatory structures at play. The Court had an opportunity to examine these intersectional issues in a sophisticated way. Instead, they passed up on this opportunity, and chose instead to see it as a case of someone quibbling over money. 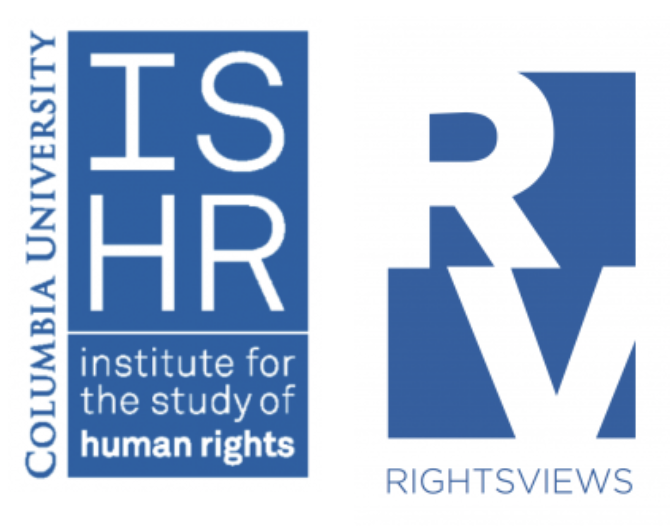 The European Roma Rights Centre (ERRC) is an international public interest law organization working to combat anti-Romani racism and human rights abuse of Roma through strategic litigation, research and policy development, advocacy and human rights education. You can read more of their writing here.